Green tea is obtained from an evergreen plant. The drink is known in China since 2700 BC. Then it was used as a medicine. 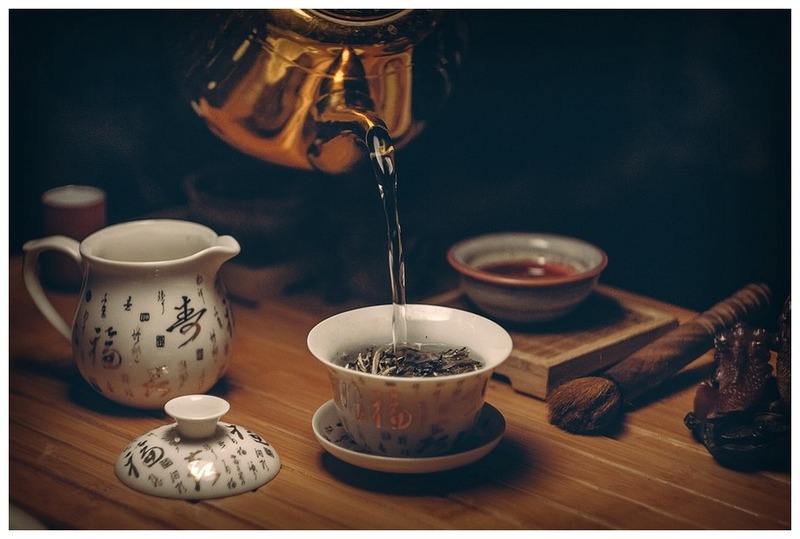 In the 3rd century AD, the era of tea production and processing began. It became available to both rich and poor. No one can deny from the green tea benefits that are apparent from all aspects. Green tea is produced in factories in China and grown in Japan, China, Malaysia, and Indonesia etc. Green tea contains antioxidants, vitamins A, D, E, C, B, H and K, and minerals. Caffeine – does not affect the color and flavor. 1 cup contains 60-90 mg. 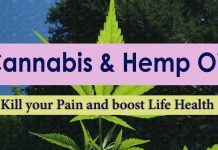 It stimulates the central nervous system, heart, blood vessels, and kidneys. EGCG catechins. Give tea bitterness and astringency. These are antioxidants that reduce the risk of heart attack and stroke, glaucoma and high cholesterol. They prevent obesity. Substances provide oncology prevention and enhance the effect of chemotherapy. They are useful for the prevention of atherosclerosis and thrombosis due to the relaxation of the arteries and improved blood flow. L-theanine. Amino acid gives a green tea flavor. It has psychoactive properties. Theanine increases the activity of serotonin and dopamine, reduces stress and relaxes. It inhibits age-related memory impairment and improves attention. Makeup to 30% of the dry weight of green tea. They have a positive effect on heart and vascular diseases, diabetes, and cancer. Substances stop the production and spread of cancer cells, inhibit the growth of blood vessels that feed the tumor. Colorless substances give astringency to the drink. They struggle with stress, improve metabolism, reduce blood sugar and cholesterol levels. Calorie cup of green tea without sugar – 5-7 kcal. The drink is ideal for losing weight. Green tea is good for the health of the heart, eyes, and bones. It is drunk for weight loss and for type 2 diabetes. The benefits of green tea appear if you consume 3 cups of drink per day. The uses of green tea can be in several ways that is mentioned here. Green tea neutralizes the effects of unhealthy fats, bacteria, and viruses, for example, Staphylococcus and hepatitis B. Green tea eliminates pain and inflammation in arthritis. Caffeine in green tea improves physical activity and reduces fatigue. Green tea reduces the risk of heart attack and stroke. People who drink green tea every day, the risk of heart disease is reduced by 31% compared with those who do not drink it. The drink conducts the prevention of atherosclerosis and thrombosis. It improves blood flow and relaxes the arteries. Drinking 3 cups of green tea per day will reduce the risk of stroke by 21%. Green tea improves mental alertness and slows brain degeneration. The beverage is soothing and relaxing, but at the same time, it increases alertness. Theanine in tea sends a signal “to feel good” to the brain, improves memory, mood and increases concentration. In a study presented at the International Conference on Alzheimer’s and Parkinson’s Diseases in 2015, those who drank green tea 1-6 days a week suffered less depression than those who did not drink it. In addition, the researchers found that tea drinkers hardly suffered from dementia. Polyphenols in tea are useful for the prevention and treatment of Alzheimer’s and Parkinson’s diseases. Catechins protect the body from glaucoma and eye diseases. Green tea improves digestion and protects the liver from obesity. The drink improves the periodontal condition, reduces inflammation and inhibits the growth of bacteria in the oral cavity. Green tea protects against bad breath. The drink protects against the development of type 2 diabetes. And in diabetics, green tea lowers triglycerides and blood sugar. The study showed that people who consume at least 6 cups of green tea per day, reduce the risk of developing type 2 diabetes by 33%, then those who drink 1 cup per week. Caffeine in green tea acts as a mild diuretic drug. Organic ointment with green tea extract is useful for the treatment of warts, which are caused by human papillomavirus. Researchers have chosen over 500 adults with the disease. After treatment, warts disappeared in 57% of patients. Polyphenols in tea protect against cancer. They reduce the risk of developing breast, colon, lung, ovarian and prostate cancer. Women who drank more than 3 cups of green tea per day reduced the risk of recurrence of breast cancer because polyphenols stop the production and spread of cancer cells, as well as the growth of blood vessels that feed tumors. Green tea enhances the effect of chemotherapy. Green tea fights cancerous inflammation. It blocks the growth of the tumor. The high caffeine content in the product raises the question – does green tea reduce or increase pressure? Studies have shown that green tea reduces pressure. The drink lowers cholesterol, prevents the formation of plaques in blood vessels, which improves blood flow and normalizes blood pressure. It is impossible to determine exactly how much tea you need to drink to get the benefit. Previous studies have suggested that the ideal amount is 3-4 cups of tea per day. The caffeine content in green tea varies, depending on the brand. Some almost do not contain caffeine, others contain 86 mg per serving, which is similar to a cup of coffee. One type of green tea even contained 130 mg of caffeine in a cup, which is more than a cup of coffee. A cup of green tea match contains 35 mg of caffeine. The caffeine content of tea is still dependent on strength. On average, it is 40 mg – so much is contained in a glass of coke. Does Green Tea Lose Weight? Green tea increases the number of calories burned, as it accelerates the metabolism by 17%. In one study, scientists noted that the loss of weight from green tea is caused by caffeine content. Large doses of caffeine can cause problems in people with heart disease or pressure leaks. Caffeine causes irritability, nervousness, headaches, and insomnia. Pregnant and lactating women should not drink strong green tea, especially at night. In some varieties of green tea a lot of fluorides. It destroys bone tissue and slows metabolism. Green tea plants absorb lead from the soil. If the tea has grown in a polluted place, for example, in China, then it may contain a lot of lead. According to ConsumerLab analysis, Lipton and Bigelow’s teas contained up to 2.5 ugs of lead per serving, compared to the Teavana brand, which receives tea leaves from Japan. This tea has a green color. If your tea is brown, not green, it is oxidized. There is no use in such a drink. Choose certified and organic green tea. It must be grown in a clean environment, as the tea absorbs fluoride, heavy metals and toxins from the soil and water. Green tea brewed from tea leaves rather than tea bags turned out to be a powerful source of antioxidants. Some tea bags are made of synthetic materials – nylon, thermoplastic, PVC or polypropylene. Although these compounds have a high melting point, some of the harmful substances get into the tea. Paper tea bags are also harmful, as they are treated with a carcinogen that causes infertility and lowers immunity. Boil water in the kettle – do not use non-stick cookware, as it emits harmful substances when heated. Heat the kettle or cup by adding a little boiling water to the pot. Cover with a lid. Add tea. Let stand until it warms up. Pour out the water. Add 1 tsp. for a cup of tea or follow the instructions on the tea bag. At 4 tsp. tea add 4 cups of water. The ideal water temperature for leafy green tea below the boiling point is 76-85 ° C. When you have boiled water, let it cool for a minute. Cover the kettle or cup with a towel and let stand for 2-3 minutes. Pour the tea through the filter into the cup and cover the remaining amount to keep warm. Green tea is packaged and stored in sealed packages to prevent moisture absorption – this is the main reason for the loss of taste during storage. Corrugated cardboard boxes, paper bags, metal cans, and plastic bags are used. The drink made from green tea leaves has a large list of useful properties and versatility of use. 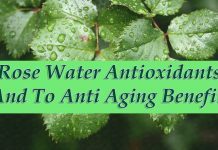 They drink it for health, vitality, and beauty, use it externally and even rinse their mouth to strengthen their teeth and gums. How can it be used for the face? The composition of green tea varies depending on the variety, region of growth and collection period. Most of the nutrients found in the leaves, collected in early spring in the highlands. Least of all in the late autumn harvest, collected from lowland plantations. Green tea for the face is valued due to the content of the following substances. These are substances that have a whole range of effects on the body, the most valuable of which is antioxidant. Catechins are several times stronger than such well-known antioxidants as vitamins A and E.
Tea leaves are a neutral component of cosmetics for the skin of the face of any type. It is important to choose the right ingredients that do not cause allergies and improve skin condition. Many manufacturers supply the line of caring products to the market, in which the main active ingredient is green tea extract. These are creams, lotions, masks, tonics with anti-inflammatory and anti-aging effects. 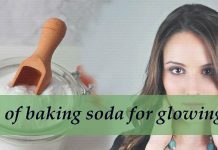 In stores, you can also buy green tea oil and special powder for making homemade cosmetics. The easiest way to apply green tea in home cosmetology is to make ice. For this 2 tsp. Chinese leaves are poured with boiling and slightly cooled water, drawn for 3-5 minutes, filtered and poured into ice molds. In the morning after waking up and in the evening before bedtime, you can wipe the face with ice cubes to give your skin a tone and freshness. In the morning, this procedure can replace the usual washing. For irritated skin, ice is prepared from an infusion of tea with mint. Shake in a bottle, keep in a refrigerator or in a cool place for 2 weeks. Lotion cleanses and moisturizes the face in the morning and evening, as well as during the day if the skin does not have cosmetics. It removes excess fat, dries inflammation, tightens the skin. Both green tea, you can just wash during the day, rinse your face after applying a mask or peeling. This will soothe the skin and refresh it. By the way, one of the popular natural cleansers made on the basis of green tea is Shiseido peeling from Japan. It is a gel that, after being applied to the skin, rolls off, removing with it the remnants of peeling, sebum and other impurities. Shiseido peeling is positioned as a natural cosmetic for all skin types, even suitable for peeling the lip area. Take 1 tbsp. l powder from tea leaves and diluted in warm water to the state of sour cream. Add a few drops of a suitable cosmetic oil, such as grape seed. The composition is well mixed and applied to the skin for 2-3 minutes. Massage with fingertips and rinse first with warm, then cool water. In conclusion, Green tea is best for health and for skin also if you use it for the skin as i already mention with recipes. Green tea is cheap and easily available everywhere so keep drinking it every day.